There has been outrage from members of the public after three-year-old Harley was attacked by a dog in Bognor. Harley’s mum Laura said he was grabbed by pitbull in Marine Gardens and ‘swung like a rag doll’. Click here to read the original story. Members of the public took to social media to express their frustration about what happened. Jolene Dodd said: “He was in a park and should be able to play without fear. Caroline Paula said: “He is three and Marine Gardens is enclosed. Anna Gałan said what happened was ‘horrible’. 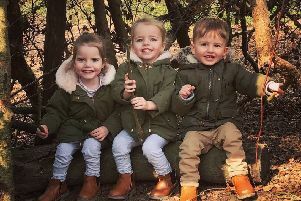 Sophie Spencer commented: “Not in any way condoning what has happened because it is truly awful, however you do have to be mindful of your surroundings especially when you have children. “There’s a good chance that this was a staffie, as it’s common to call them pitbulls.